Why is accountability such an important quality to find in Dog Walking Service? Canine Cuties guarantees in providing their clients with peace of mind with their accountability. 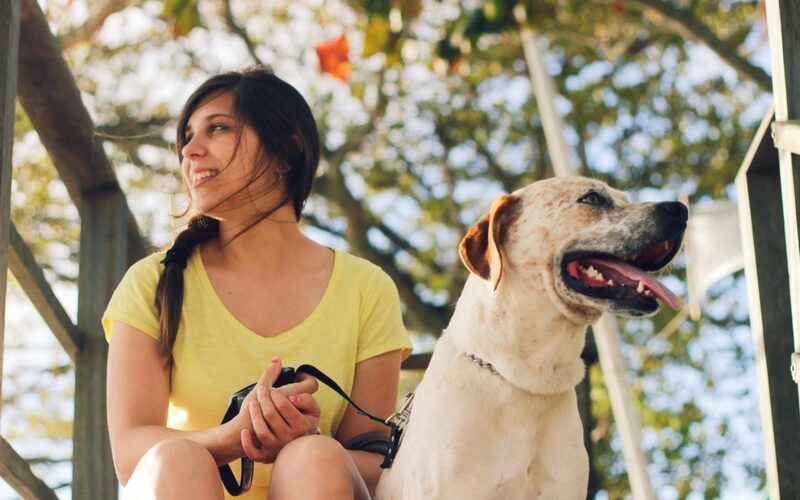 Finding accountability in a dog walking service specially in the city of San Francisco is incredibly important for dog parents. San Francisco is a wonderful city but is definitely very fast paced and their windy roads make it difficult for dog walking services to pick up and drop of dogs. Due to this it is so important that dog walkers in San Francisco have a the appropriate training so they can be ready for anything and ensure dog parents that their four legged family members will be in safe hands. How does Canine Cuties provide next level accountability? Accountability – When Canine Cuties Dog Walking and Sitting service first began we wanted to make sure our clients felt their dog was in good hands and they were able to have peace of mind whether they were at work, vacation, or work trip. licensed/bonded/insured – Canine Cuties Dog Walking and Sitting service is licensed, bonded, and insured. This allows the community to see that we are a reliable and legitimate business in the area. Certifications- we have earned several certifications in order to provide a next level quality service to all the dogs we walk and sit in San Francisco. PSI- Canine Cuties San Francisco Dog Walking and Sitting is a member of Pet Sitters International. This allows us to be up to date with all things new in the pet sitting world. Background Checks- All of our employees are required to conduct a background check for many reasons. We want to give our dog parents peace of mind that the dog walker who is taking care of their fur baby has a clean record and a safe driving record. We also understand how important it is for our clients to feel safe who is coming into their homes. Dog behavioral classes- In my previous blogs I have affirmed how important it is to notice the individuality of each dog. Each dog is different and should be treated as such. In order to provide a good, reliable, and fun dog walking service to the dogs it is important to receive some dog behavioral courses to understand why some dogs act the way they act. In return this provides for a fun dog walking experience and environment for everyone involved. Red Cross- All of our employees are Pet CPR trained and First Aide trained from the Red Cross so you can rest assured your dog is in good hands of a dog walker. Daily Report Cards- Canine Cuties Dog Walking and Sitting Service provides their dog parents with a daily customized report card of how their pup did on their dog walk in San Francisco that day. Custom Care Plan- The Custom Care Plan is provided for each and every dog before and any dog walking or sitting takes place in San Francisco. This is the dog’s individual file with all the details that make them…them! PetCheck- PetCheck is one of the many ideas that we learned from being a Pet Sitters International member. This advanced mobile application has allowed us to provide our dog parents with more accurate information of their fur babies. Barcode time check– The parent always receives an alert of when the dog walker has picked up their dog and has dropped off their dog. This is an important accountable quality we like to provide so the dog parent knows their fur baby was taken out on the time they requested. Walk gps- Many parents want their dogs to get enough exercise, our gps tracker allows the dog parent to see what fun routes we took during our dog walk. Additional notes- The application gives us the option to leave additional notes. We always want to keep the dog parent informed if anything out of the ordinary happened during our dog walk in San Francisco.